Spirit House has the food to tingle every taste bud. Hungry yet? Romantic dinners, partying with friends in a private courtyard, or celebrating weddings and special occasions - Spirit House is a perfect recipe for a dining experience to remember. 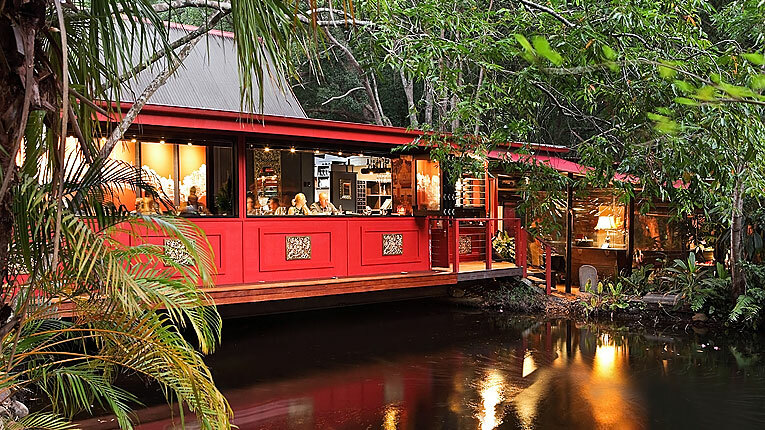 Set in lush tropical gardens nestled around a tranquil pond, at sunset Spirit House turns into a magic wonderland which will take your breath away. For restaurant bookings, book online or call 07 5446 8994 (ext 2) during business hours. Bookings: What can we say, we're busy so you will definitely need to book a table online or call the reservation office on (07) 5446 8994. Vegetarians and Allergies We do cater for vegetarian and gluten free diners, please see the menu below. If you have any other dietary requirements, please advise when making your booking. Table or Dietary Requests If you have table requests or any other requests please call us on (07) 5446 8994. A Large Party: If your party is 10 people or more you will need to call us to book. Children under 10: Children are welcome, however we don't have a children's menu, nor do we have high chairs so it is best to call us to make sure what we offer suits your needs. Want an Early Sitting: Our 12noon and 6pm tables have to be booked by phone. So if you don't see any availability for your chosen slot, we may have an earlier time but you will need to call. You're Good To Go - Book Now! Quite simply, contemporary Thai cuisine at its best. The menu is designed around the concept of 'sharing the experience'. So order as a group and embark on a shared Spirit House food journey. The Spirit House full menu and wine list are also available as pdf files for you to download. Our menu concept is centered around a shared dining experience - we encourage each table to order as a group and share the exotic textures and flavours created by our chefs. Food, like life, is a shared journey to enjoy! Our multi-award winning menu changes seasonally. All dishes are designed to be shared which allows you to create a wonderful journey through our menu. We can cater for vegetarians and vegans. 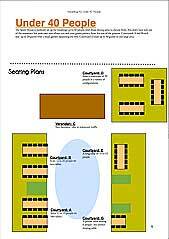 For groups of 11 or more please see the Banquet section. You can download our current Menu. Thanks to in-house wine guru, Yann Audran, our wine list has won many Hong Sa Bar and features an eclectic mix of Australian and international labels. Hong Sa Bar include Gourmet Traveller's 2015 Wine List of the Year Award, and one star in the World of Wine World's Best Wine Lists. You can download our current Wine List. The Hong Sa Bar has a great menu of Asian inspired small plates. These small dishes are perfect to have with drinks before you head to the restaurant. If you can't get a booking to the restaurant then why not drop in for some drinks and enjoy a range of dishes from the bar menu - casual, fun and a delicious way to spend some time in this fantastic space..
Download our Hong Sa bar menu. The unique courtyard layout of the main restaurant, makes Spirit House the perfect place for small weddings, parties and corporate functions. A party of 4 to 30 people can reserve their own private area for easy weddings. Or we can cater to corporate groups who want to book the entire restaurant for an exclusive-use event, up to 90 people. The Hong Sa Bar is equipped with its own kitchen and is another option for a formal dinner seating up to 24 people for a relaxed get-together utilising the couches, low chairs and the funky platters that are a specialty of the bar. The bar also adjoins the Bali Courtyard which provides a stunning backdrop and break-out area for you and your guests. Our banquet menus are designed around a shared dining experience. From intimate celebrations, corporate functions to fully themed weddings, our function planner gives you all the tools to plan a memorable event at the Spirit House. Download Function Planner Complete with sample menus, table plans and other helpful tips and tricks to create an event that will be remembered for all the right reasons. Introducing a new way to experience Spirit House. The Hong Sa Bar is building a great reputation with fine craft cocktails incorporating house-blend gins and bourbons plus some barrel aged classics. Our shared platters for two are taking instagram by storm and are a great way to experience a laid back casual lunch or dinner without the formality of the restaurant. The best part is you can now book a table at the bar by calling (07) 5446 8977 - grab a comfy chair on the deck or in the air conditioned room and chill out in style. The bar has two air conditioned room and a shady courtyard - perfect for those pre-lunch or dinner drinks and a great reason to arrive a bit early for your booking - or perhaps stay later. Just to the side of the bar is a cool garden courtyard with Bali hut which is a great space to linger in our bean bags or split from your group and have a catch up. This courtyard is a favourite for wedding parties and corporate groups - it adds a taste of the tropics to any event. Something unique to the restaurant, the food at Hong Sa Bar is a shared platter for two - $60. The menu changes depending on the chefs' whim and ingredient availability. The platters are easy to share and have personalised instructions and messages written on them in chalk - fun, cool and tasty. So if you're a party of 2, 4 or 6 and you want a totally different Spirit House experience, then the bar is for you. Interestingly, the bar can also be booked for private functions catering up to 24 people. We can offer a casual platter menu through to the formal Spirit House banquet as well as stand up functions. In short, the Hong Sa bar is the ideal location for small family get togethers, functions and weddings.